This part of the neighbourhood plan proposes creating a continuous pavement on the west side of St George’s Terrace. 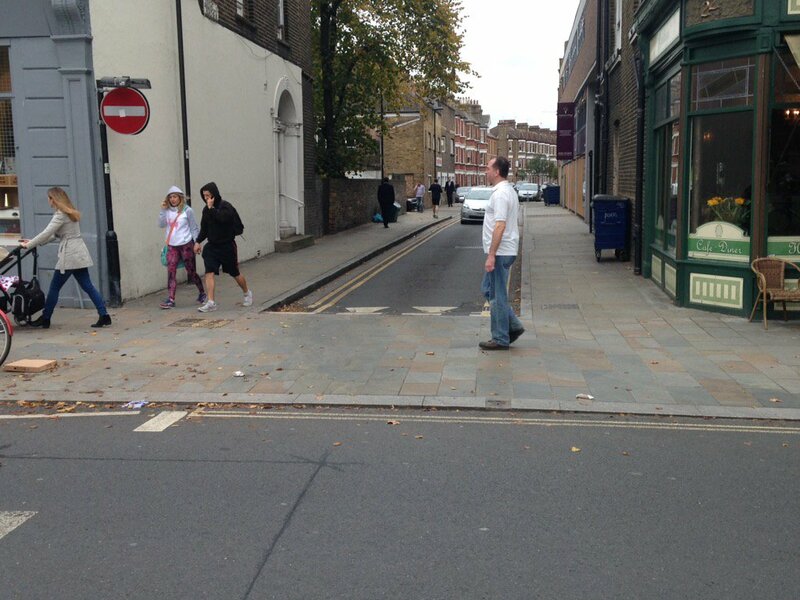 This would create what is referred to as a “blended footway”. This would involve raising the road at the junctions with side streets off St George’s Terrace to create a pavement over the junction that is level with the existing pavement, and putting down extra road markings to make drivers aware of this. Click on this link to see an example of how this has been done elsewhere. The plans also involve creating cycle lanes on both sides of Osborne Road between the junctions with North Jesmond Avenue and St George’s Terrace and Holly Avenue. 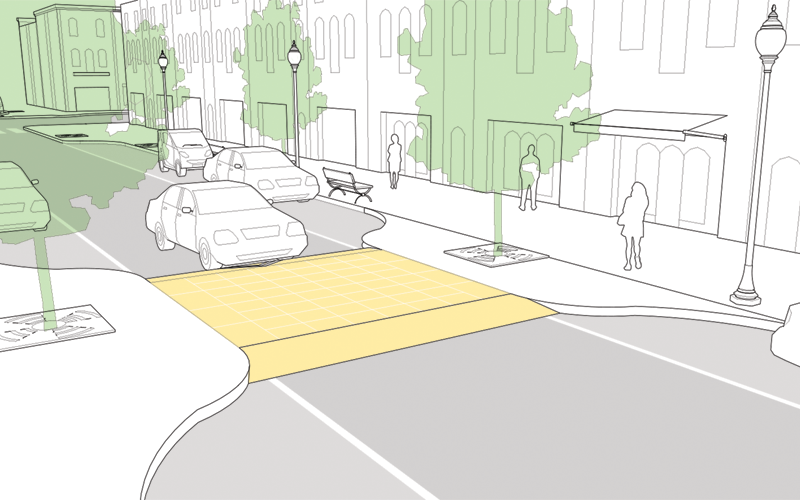 It also proposes making the road level with the pavement at the junctions with Tavistock Road and St George’s Terrace (referred to raised tables or speed tables) as a way of calming traffic on the approach to the junction and making it easier for pedestrians to cross the road. A drawing of the changes proposed for St George’s Terrace can be downloaded by clicking on the link below. Hazelwood Avenue has been used as an example, and the plan would be to repeat this throughout St George’s Terrace. A drawing of the changes for the part of Osborne Road between St George’s Terrace and North Jesmond Avenue can also be downloaded by clicking on the link below.